In celebration of National Rosé Day, we thought it was only fitting to share our favorite way to enjoy the pink drink so often associated with summer. For us, that’s frosé. Mixing the bright, refined flavors of rosé with the nostalgia of slushies, this seasonal sipper is a wave of flavor you’ll want to ride ’til the end of September. We got our first taste of frosé in the Hamptons. With so many vineyards in the nearby North Fork, it’s worth taking a trip to the rosé playground. 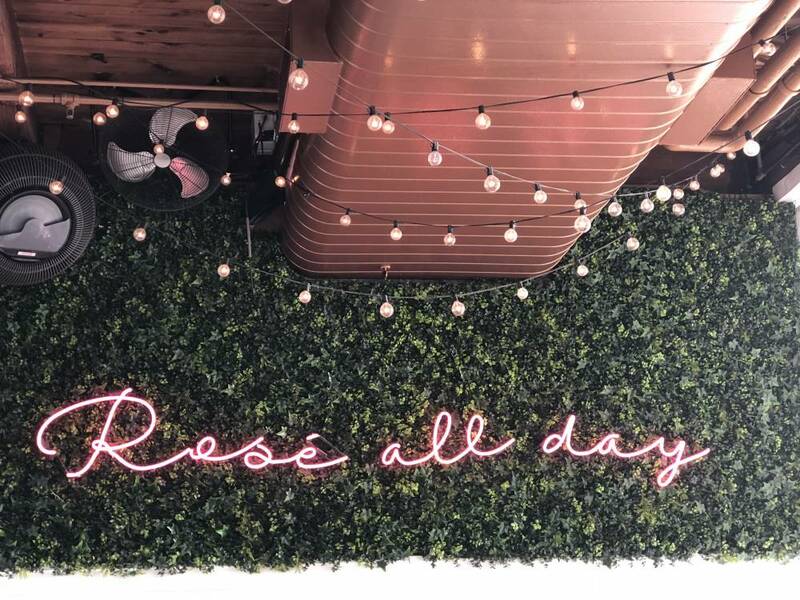 You can find frosé at the tap room of Bedell Cellars, get a rosé keg at Bridge Lane Wine, pick up a bottle the aptly-named Weekend Rosé at Palmer Vineyard or check out Croteaux, which is a rosé-exclusive winery. Not headed to the Hamptons anytime soon? Our frosé recipe is fast and easy and just as delicious. Finish getting party-ready with our Americana Shop. You’ll want the standard, 750 ml size. A bolder rosé—like a Pinot Noir or Merlot variety—will help enhance the flavor profile. Buy it pre-mixed at the store or boil 1:1 ratio of sugar and water until dissolved. Freshly squeezed will taste better, but bottled will be faster and require less work on your end. Fill a blender with ice and pour all ingredients in. Blend until smooth. Fill your cup and sip slowly to prevent brain freeze. Cheers!